I have been making jewelry for years now. In college I made a large bib necklace from a dozen or so antique keys to accompany my medieval inspired Senior clothing collection. In the past, I have sporadically sold my jewelry online. Lately I had a lot of private sales and custom orders for clients and due to the interest in my pieces, I will be making more of them available in the shop. They may not be the cheapest on Etsy, but the price is fair considering that they are made almost completely of recycled materials, the time spent to track down the components, and the fact that they are handmade by an artisan (me) in the USA. You know who made it, you know it's recycled and you know it's one of a kind. Here are a few of the necklaces I just added to the shop. 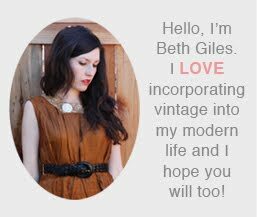 HI-- I love your vintage lockets, you have a very unique style. Can't wait to see what you come up with next!